Hurricane Christina is now a Category 4 storm which is one level away from being the highest which is a category 5. Even though Christina is moving away from the west coast of Mexico it could still cause a threat due to high waves, ocean swells and constant rain. 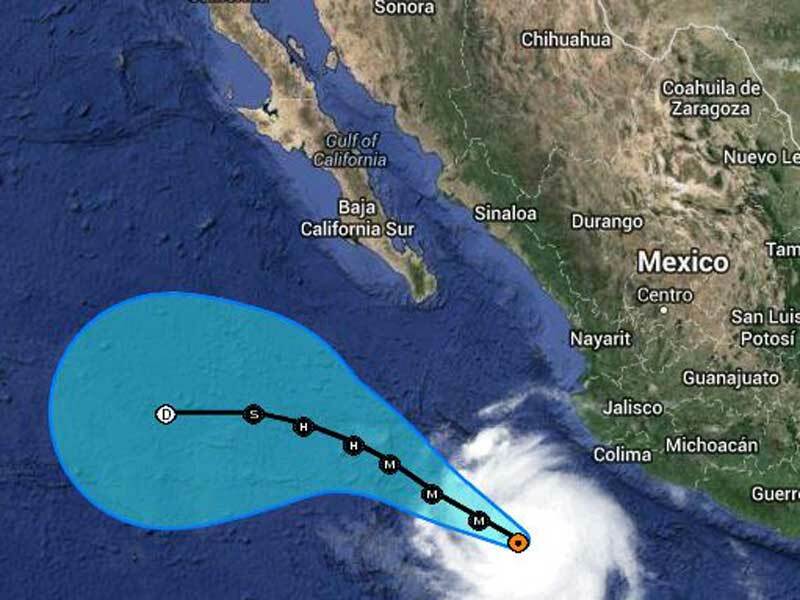 The storm is moving North-West and by Saturday will affect Cabo San Lucas in south Baja California Sur. The region could may be threatened by heavy rainfall, and ocean swells as Hurricane Christina goes past. The storm currently has maximum sustained winds of 150 mph and is moving North-West at 7 mph. Thankfully the storm is heading deeper into the Pacific Ocean and no cruise ships have been reported to have any itinerary changes. Cruise Hive will keep a close eye on the seasons second Hurricane and will alert you of any sudden changes along with any effected cruise ship.